It’s rumored that Toys “R” Us’ controlling lenders will make an attempt to revive the brand. They even made the decision to pull out of the Toys “R” Us bankruptcy auction. Still hope? Maybe. But, for now, Toys”R”Us is no more. When Toys “R” Us closed its stores, consumers were upset—especially kids. My nine-year-old granddaughter heard talk that Amazon had basically killed Toys “R” Us. She was so upset she asked her parents to “never shop at Amazon again” for her toys. Well, of course, that didn’t last long. The same is probably true for many consumers. While it’s true that Toys “R” Us was rapidly losing market share to Amazon, Walmart and Target, they still sold one heck of a lot of toys. For their last full year in business, they racked up $7.1 billion in sales. Now we are approaching the first holiday season without them. The kids may have forgotten about Toys “R” Us, but retailers who sell toys certainly haven’t. 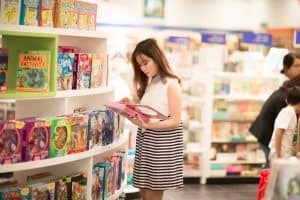 While declining somewhat in recent years due to many kids being glued to cell phones and tablets, the yearly retail market for toys is still worth $36.8 billion. The holiday season is prime selling time. The National Retail Federation (NRF) says that 30 percent of all toy sales happen in November and December. Without Toys “R” Us, retailers are scrambling to fill that gap. Enter Party City, Kohl’s, JCPenney, Five Below, BJ’s, Michael’s, Costco and Sam’s Club. All are making concerted—and, in some cases, new—efforts to maximize their toy business. Of course, no retailers are trying harder than Amazon, Walmart and Target. Amazon continues to ride their huge wave of success. Walmart wants to be the premier “showroom” for toys. They will carry 30 percent more new toys this holiday season compared to last year. Target will double its “new and exclusive” toys and dedicate huge floor space to the entire category. The company will also add 2,500 new toys this year. All toy sellers are polishing up their websites to prominently feature toys. So, what will kids be hoping for this holiday season? Blackfriday.com looked at the top toy lists for holiday 2018 from Target, JCPenney, Walmart and Amazon. They chose the ones that appeared most often on the four lists. I think only one item on the list was around when I was a kid. Can you guess which one? Experts believe that the demise of Toys “R” Us won’t change consumer demand for toys. So, will they really be missed? Ryan Fischer, a partner in A.T. Kearney’s consumer products and retail practice says no, not at all. That’s good news for kids. parents and grandparents. But probably most importantly, it’s good news for Santa. Happy Holidays!